Twin Cities Car Service provides high style ground transportation in Shoreview, Minnesota. Shoreview is a picturesque residential community in Ramsey County, located just ten miles north of both Saint Paul and Minneapolis amidst a beautiful natural landscape. Twin Cities Car Service extends its quality services to this beautiful city and we will make sure to make your transport time in Shoreview is pleasant. Shoreview’s beautiful environment includes lakes, parks, wetlands, and open space areas. Shoreview’s citizens boast of a high quality life with eleven lakes, public beaches, numerous parks and more than 50 miles of trails and sidewalks. So when you’re in need of a natural Shoreview limo getaway, Twin Cities Car Service will pick you up from your chosen location and transport you in complete serenity and comfort in one luxury vehicles. Twin Cities Car Service provides a reliable, professional chauffeur-driven service that specializes in quality airport transportation in the Minneapolis metro area at affordable prices. Our courteous, professional and smartly dressed chauffeurs will wait for you at one of the area airports, taking care of your luggage and escorting you to your luxury vehicle. We employ the latest technology to enhance the comfort and punctuality of your travel and Shoreview limo needs. Twin cities Car Service fleet features late models of impeccably maintained Luxury Town Cars, SUVs, Airport Vans, Stretch limos and Stretch Hummer Limos that can accommodate every type of travel arrangement you might have. If you need an airport transfer for a business visit, a stretch limo for a wedding ceremony, birthday or anniversary party or you simply wish to enjoy a meal out at one of Shoreview’s fine restaurants book one of our vehicles and your event will definitely gain a touch of glamour. 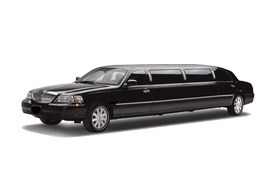 Twin Cities Car Service is there to add luxury to your Shoreview limo traveling.